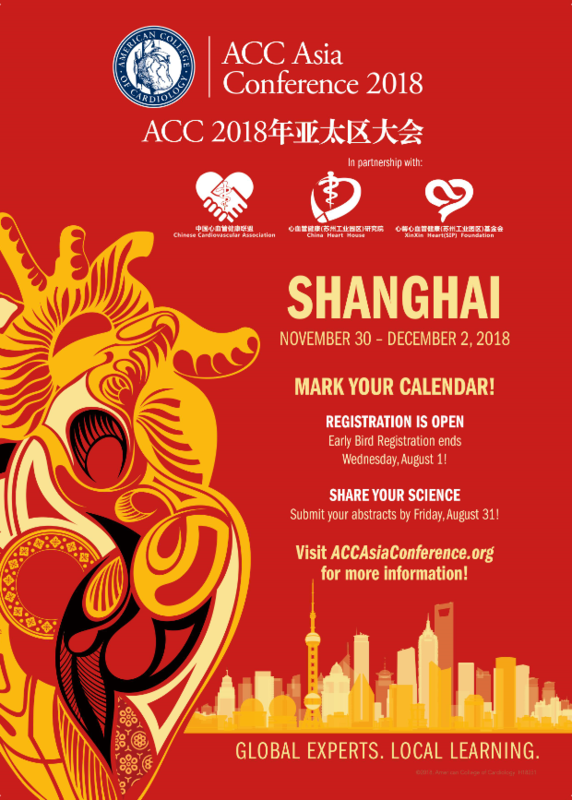 Registration for the ACC Asia Conference 2018, taking place in Shanghai, China, from November 30 – December 2, is NOW OPEN! Cardiologists around the world look to the ACC to advance cardiovascular science and knowledge and this is your chance to join us. Listen as international and regional experts partner together to deliver an educational experience with the unique perspective of clinical practice in Asia. Get relevant and practical knowledge to where you live and work to elevate patient care and improve heart health. Share your science with global experts in the field during the ACC’s Asia Conference. Abstract submissions must be submitted by 11:59 p.m. ET, on Friday, August 31.